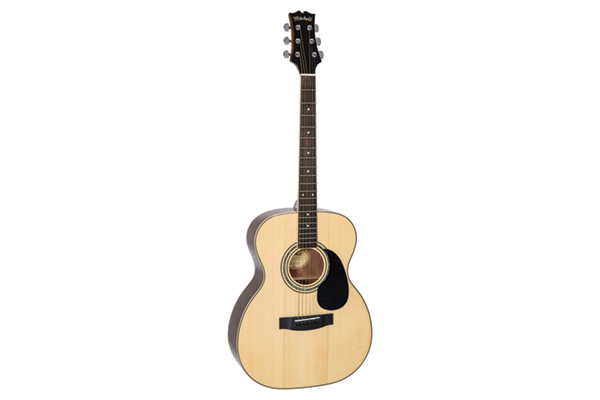 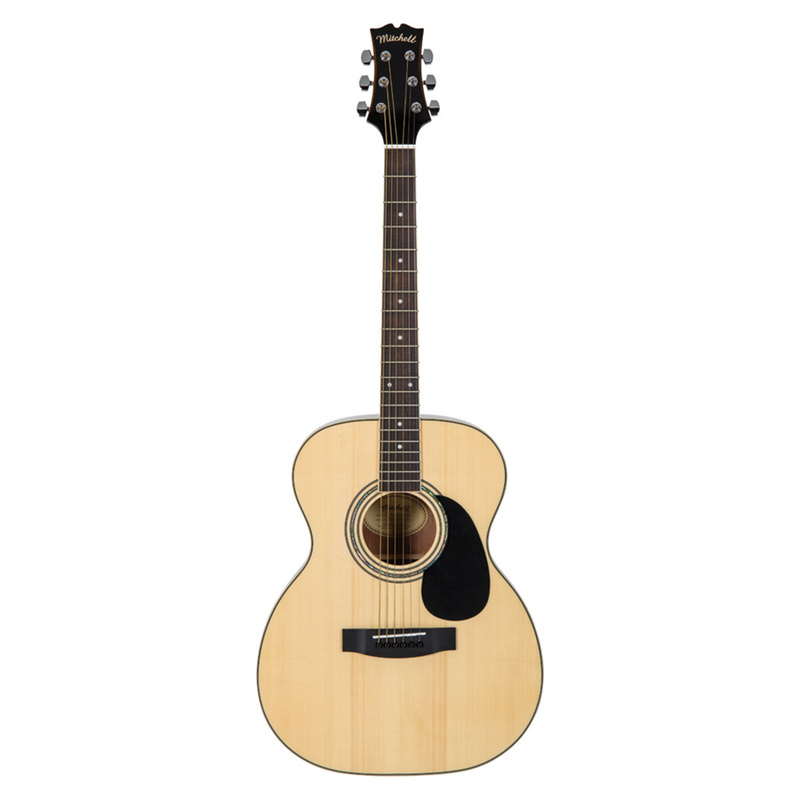 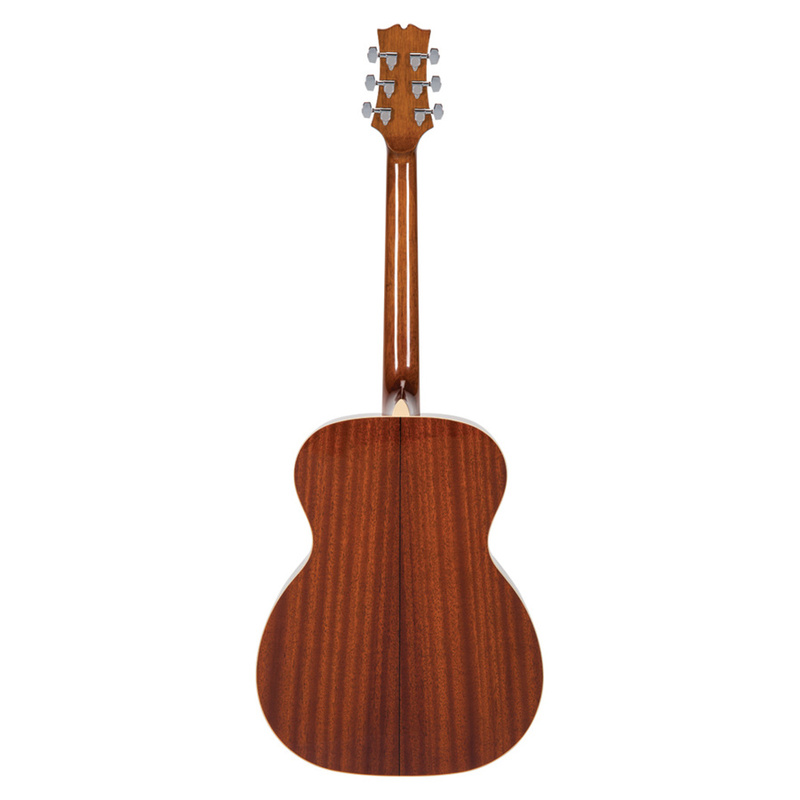 Start playing guitar today with the Mitchell O120SPK Auditorium Solid-Top Spruce Acoustic Guitar Pack! 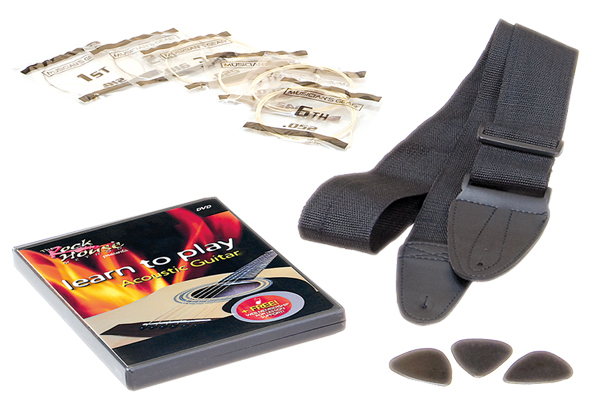 This top-quality gift pack includes everything you need to get started on your musical journey, including a durable gig bag, easy-to-use guitar tuner, instructional DVD, a shoulder strap, guitar picks and even extra strings. 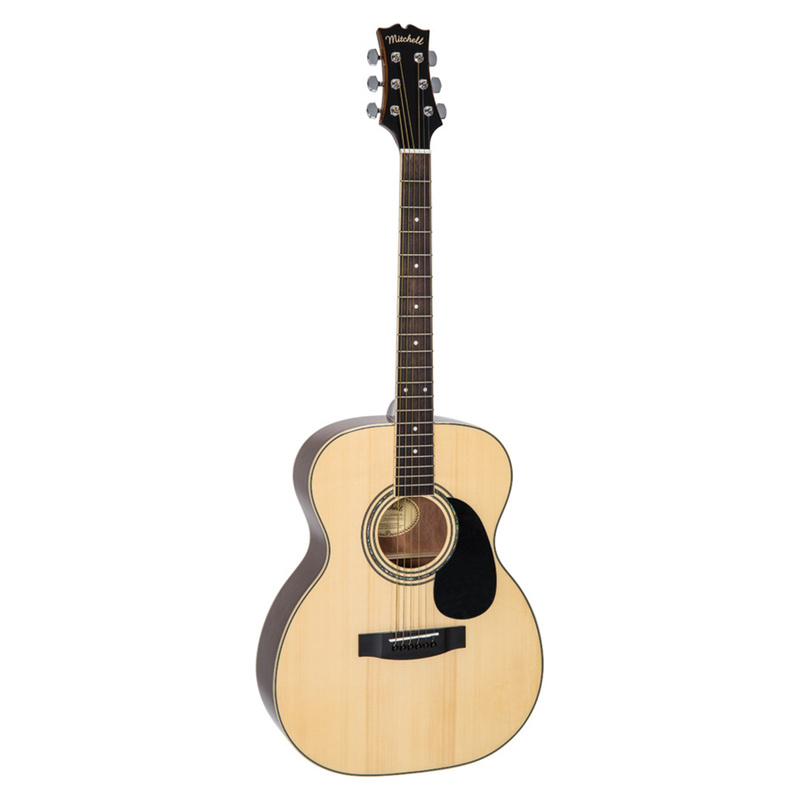 The O120SVS guitar itself is the ideal smaller instrument for musicians on the go and comes filled with pro features such as a solid Engelmann spruce top for superior tone and resonance and lighter gloss finish with scalloped bracing combine to improve the overall volume and projection. 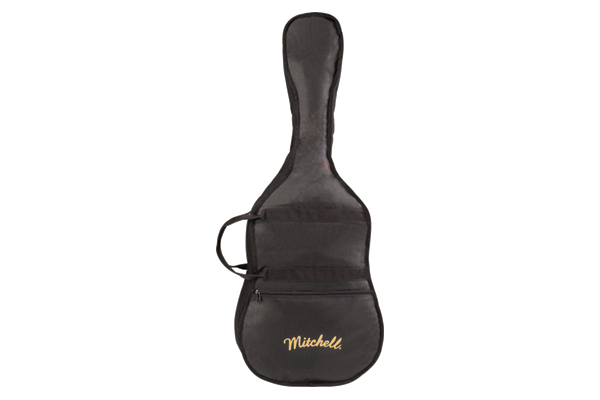 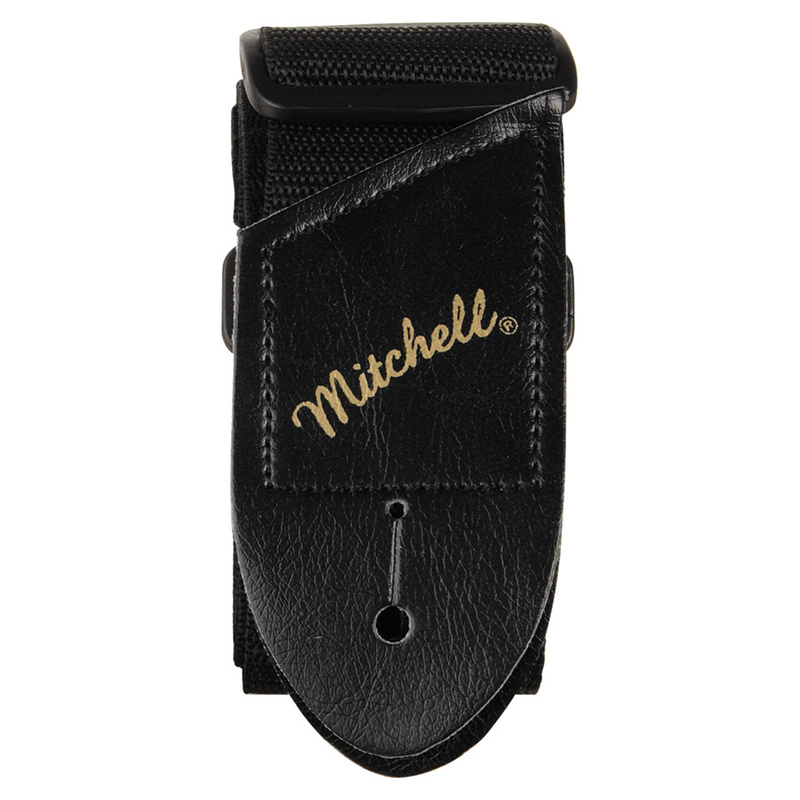 It’s time to start playing… with a new Mitchell guitar! 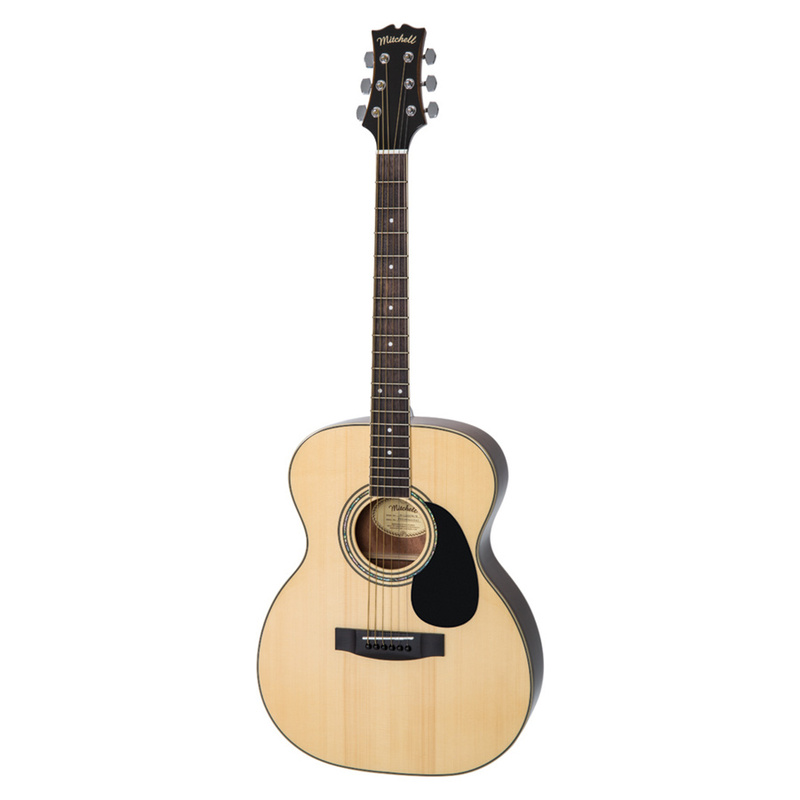 The Mitchell O120SVS auditorium solid-top spruce acoustic guitar features a solid Engelmann spruce top for superior tone and resonance. 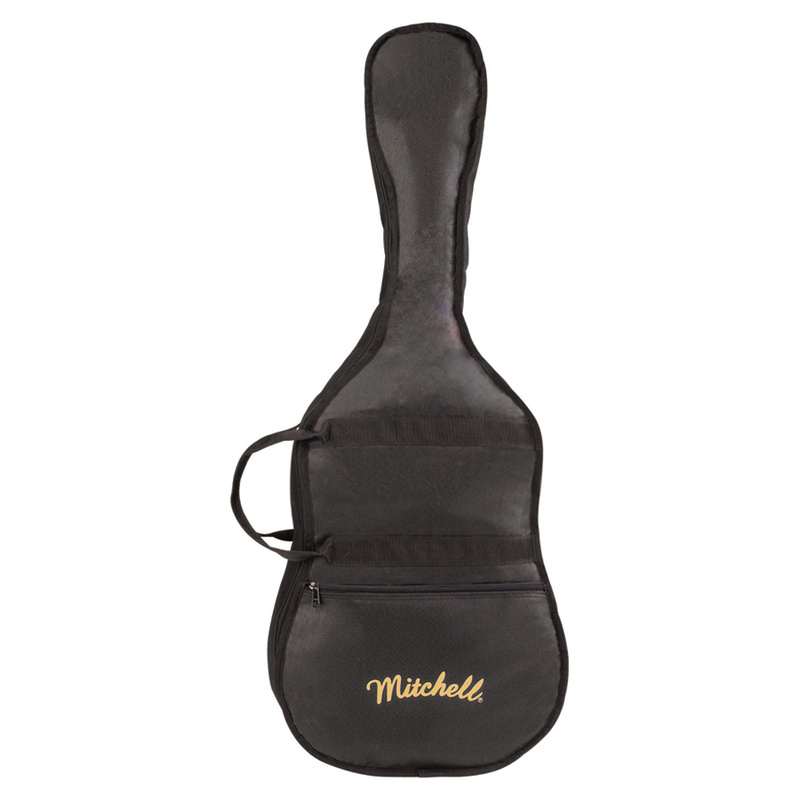 A woven gig bag for protecting your instrument. 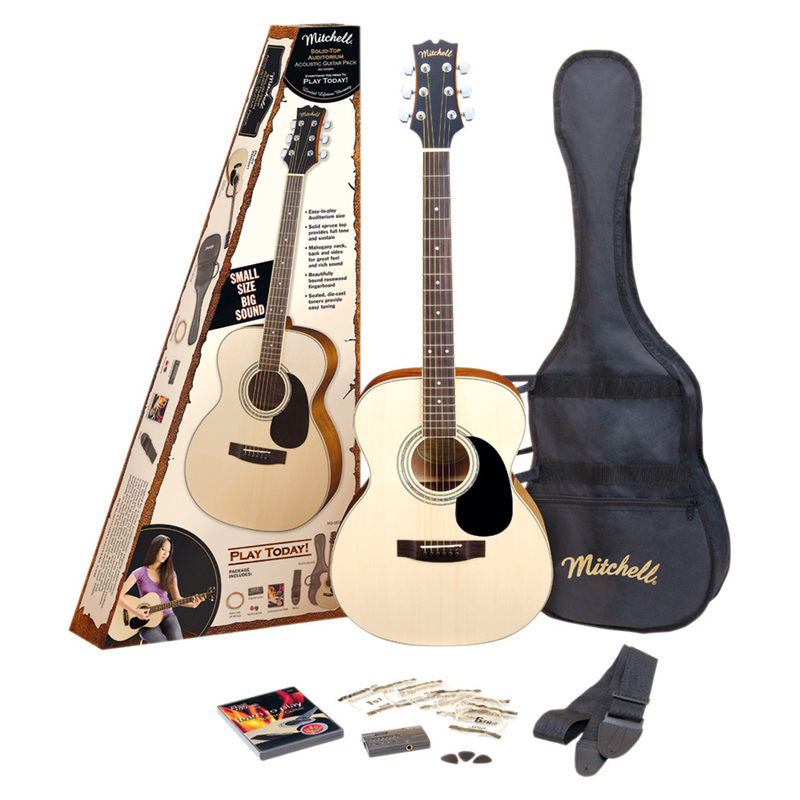 Pack also includes a guitar strap, extra strings, picks and an instructional DVD. 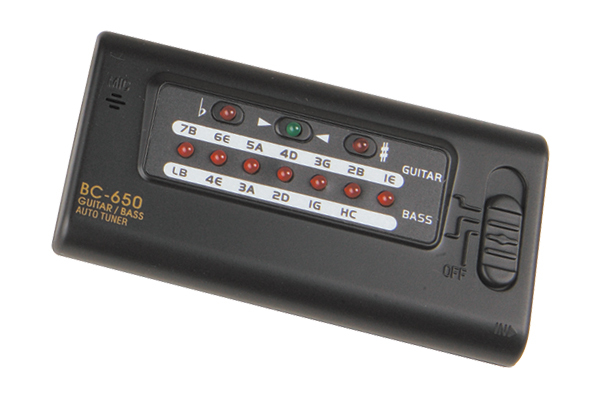 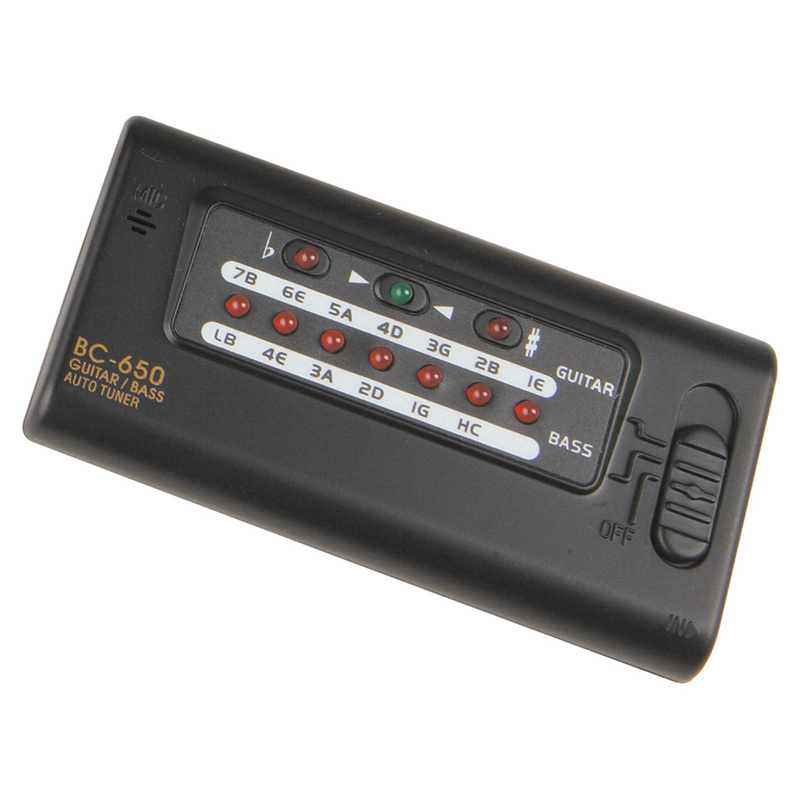 Tuner is included to keep your guitar in tune.